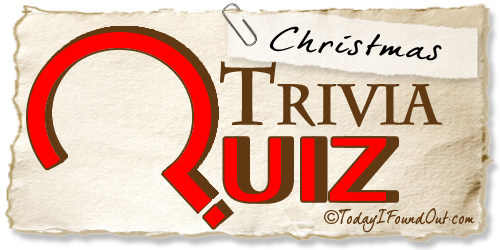 Congratulations - you have completed Christmas Trivia Quiz. If you were born on Christmas day, which star sign would you belong to? In the song 'The Twelve Days of Christmas', how many lords were leaping? Which Cliff Richard's song was Christmas number one in the UK in 1988? How many gifts would you receive if you received all the gifts in the song ‘12 days of Christmas’? Which Alicia Key's song made Christmas number one in the US in 2007? Which year did Band Aid release the song entitled 'Do They Know it's Christmas' in the UK? Who was the author of "A Christmas Carol"? Which song did The Bee Gees have a Christmas number one with in the US in 1977? How many doors of an advent calendar would you open before Christmas Day arrives? The song White Christmas was first performed in which 1942 film?